Howard Jackson was a careful man. He had to be to have gotten away with his twenty-seven murders to date. Today he was hoping to add number twenty-eight to the tally. The young man sitting alone at the table in the service station diner looked a promising candidate. Howard estimated him to be in his late teens, or at most, his early twenties. He doubted if the young man had enough money for another coffee, having watched him nurse the one he had for over an hour. It wouldn’t be long before one of the staff insisted he buys another or be on his way. With the rain now pelting down outside, Howard was optimistic, knowing the weary hitch-hiker wouldn’t relish the prospect of walking however far to the next rest-stop. He had a knack for spotting the most vulnerable and trusting ones. “Another coffee or something? Howard asked, having strolled over to the young man. “They’ll be asking you to leave otherwise,” he added by way of reassurance. “Uh? Oh right. Yeah, thanks, mister.” This was going to be so easy, Howard thought to himself. Howard and the young man drank up and made their way to Howard’s car in the customer parking lot. With the rain at full pelt, Howard was driving slower than he usually would. The young man continued to sip at his soda. An hour into the journey, the young man looked like he was nodding off. Howard pulled into a layby, confident the sedative had done its job. Howard had long since discovered strangers were more ready to accept food and drink from a stranger in their car if it was in a sealed container or wrapper like a soda can or candy bar. The screw cap soda cans were of his own design, practically indistinguishable from the real thing, and the candy bars had each been injected with a liberal dose of etorphine, a powerful animal tranquiliser. Administering it via a soda or candy bar reduced the speed with which it took effect, but it was a safer alternative to risking the recipient putting up a fight if Howard failed to inject the drug at the first attempt. Howard hadn’t forgotten the one that got away, his only failure some six years previous when the sixteen-year-old intended victim hadn’t accepted either the soda or a candy bar and escaped after managing to block the etorphine-filled syringe with his rucksack. From that day on, Howard made it a rule not to proceed if the victim didn’t accept one of the drug-filled sodas or candy bars. “Not this time, mother fucker!” the young man said, ramming a solid uppercut under Howard’s chin before dragging him out through the adjacent car door. Though not as effective as Howard’s etorphine-filled soda can, not that the young man had actually drunk any of it, the upper-cut had stunned his would-be killer sufficiently for the young man to quickly bind and gag the weaker and older Howard with the minimum of fuss or resistance. Oddly, the tone of his voice wasn’t loud, angry, or the outraged sort you might expect from someone unexpectedly finding themselves in that situation. If anything, it was eerily calm and controlled, much like the way he went about slitting Howard’s throat before dumping his body in the trunk of the would-be killer’s own car, sending both to a watery grave several hours’ drive later. Oh, he’d been careful alright, but just a little too careful this time … it never occurred to Howard that someone else might have similar thoughts on their mind, and the same obsession with not getting caught. After all, what were the odds of a highway-driving serial killer picking up his opposite number among the waifs and strays of the hitch-hikers? The twenty-two-year-old young man had been killing the likes of Howard along the highway from the age of seventeen, barely a year after hitching his first ride at the tender age of sixteen. It was Howard’s attempt at adding the young man to his tally of victims six years before that had set the young hitch-hiker on his path of seeking out and slaughtering men like Howard … Howard’s fate had been sealed the moment he’d been recognised in the diner … by the one that got away. Sharon Brownlie was born in Malta in 1962. Her parents were in the Armed Forces and she spent her childhood travelling all around the world. As a mature student, she graduated from the University of Edinburgh with a Master of Arts Hons degree in History and a PGCE. Sharon spent some years working in Adult Education. 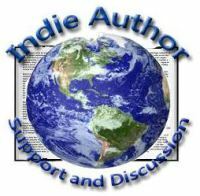 Sharon Brownlie is also another valued member and prolific contributor to the wider Indie Author community, and I’m proud to say, an equally valued member of my own IASD writing group. In addition to her writing, Sharon Brownlie is a talented and successful print and eBook cover designer, as well as offering a number of other related highly competitive author services, including formatting, proof-reading, and copy editing. What makes a woman kill? An upbringing marred by rejection and hurt when you are let down by the ones you love and a society that is supposed to protect you? As a teenager, that rejection lures Helen King into the world of drugs and prostitution. Now, as an adult, Helen is spiralling out of control. Old wounds are surfacing; can she face her demons without the drugs? Will revenge help release her from her past? Beating her addiction is her only chance at a new life. But, an encounter with a former school teacher opens up old wounds that had been festering deep within her. While quitting drugs, another craving takes its place. A desire for revenge: payback for those who’d betrayed her. Plagued with bitterness, Helen heads to Edinburgh to begin her killing spree. Police are mystified when her first victim is found. A second death convinces them it’s the same killer. Can they connect Helen to the crimes? How many more will die before she is stopped? Poignant, powerful, and tragic – a thriller of a tale of bloody revenge. My favourite book this year! What an awesome book! As a fan of police procedural and murder stories, I can honestly say this is one of the best I’ve read in the genre in a very long time. While some books try to intrigue and tease the reader into reading beyond that all-important first chapter, Sharon Brownlie grabs you by the throat from the very first line, commanding your attention to the last. The writing was crisp and sharp, always propelling the story forward or helping set the scene in the reader’s mind. I liked too that there were strong female characters on both sides of the law, which gave the story an additionally interesting slant. The portrayal of the seedy underbelly of Edinburgh, namely the drugs and prostitution, and the equally seedy characters that inhabit such a world was utterly convincing. This is a story of bloody revenge taken to the nth degree. The main character, Helen King, is as loathsome, ruthless, and manipulative an individual as you would never want to meet outside the pages of a book, and yet her background and motivation allow the reader to, if not condone, at least understand and sympathise with her, even more so when she finally shows a few glimmers of humanity. Likewise, with the other characters – the author doesn’t strive to make the reader actually like or empathise with them, concentrating instead on portraying them as realistically as possible within a totally engaging story. A couple of traumatic incidents and a chance meeting of sorts are the catalyst for Helen’s transformation from an abused and cruelly exploited young girl and woman into a ruthless killer. Driven by her vivid dreams of revenge on those people she perceives as having let her down when she was a child, she’s consumed by a need to make them pay for their ‘betrayal’ of her. The author doesn’t exaggerate the violence in the book i.e. it’s not as graphic or detailed as you might expect given the theme of the book, but yet the author still manages to conjure a clear image of it in the reader’s imagination. The investigations into her activities are authentic and well constructed but without bogging the reader down with every precise detail or overuse of police terminology. As you would expect, there are several police officers involved in the investigation, though of course, the story focuses on those leading it, and the author brings them to life with little snippets of background information and all the varied character traits you would encounter in the real world. In addition to the story being told, these characters could easily warrant further crime thrillers in their own right. It’s impossible for me to overpraise this book; anyone who’s ever read and enjoyed Lynda La Plante’s ‘Prime Suspect’ series (or seen the tv adaptation) will be in for a real treat with this one. My favourite crime book this year. A year has passed since the arrest of serial killer, Helen King. She has languished in jail awaiting her fate. Her wait is over and her day of reckoning has arrived. It is time for her to face the consequences of her crimes. Will Helen go quietly? Has she laid her ghosts to rest? A poignant and satisfying conclusion to an outstanding story! The second of this two-part series is really more a short novella than a full-length novel, but every word of it helps bring closure to the first part. In this second part, The Consequences, we learn more of the detail of Helen’s tragic young life in her own heartfelt words, and through that, the reader is finally able to empathise more with Helen, and this time truly understand her compulsion to exact revenge on all those who had failed in their duty of care towards her at an age when she needed it most. We also see a softer, more human side emerging in DS Brennan and DI Ellington, two of the female detectives responsible for bringing her to justice. Although a relatively short read, it was for me, the perfect length epilogue – any longer and it would have come across as needless ‘padding.’ I sincerely hope for more of the same from this splendidly talented author.